Elizabeth (Betsy) A. Fitzgerald, D.O. is a board certified dermatologist who has been with Abington Dermatology Associates since 1994 and is co-owner of the practice. Dr. Fitzgerald is a graduate of La Salle College. She earned her medical degree from the Philadelphia College of Osteopathic Medicine where she also completed her dermatology training. Dr. Fitzgerald is also an instructor for PCOM. 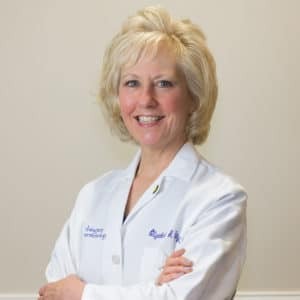 She is currently an active staff member with Abington Memorial Hospital and has been since 1994. Dr. Fitzgerald practices medical, surgical and cosmetic dermatology. When not working, she likes to run and cycle, read and enjoys traveling with her family.